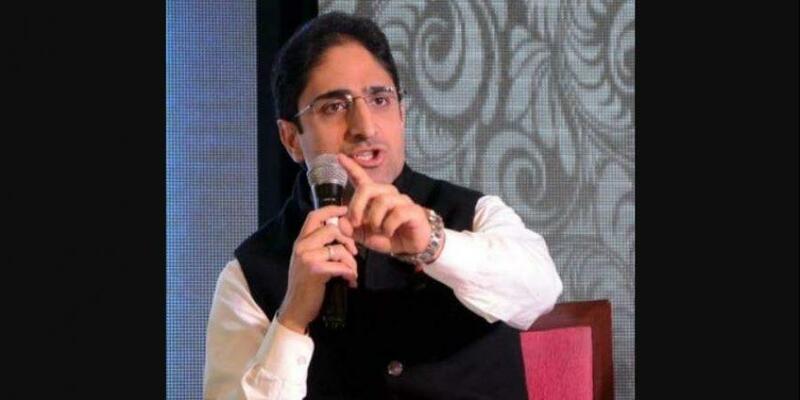 Srinagar, Oct 21: Former spokesman of National Conference (NC) Junaid Azeem Mattuu who resigned from the party and successfully contested Srinagar Municipal Corporation (SMC) as an independent candidate from three wards has been nominated by Peoples Conference (PC) as candidate for Mayor’s post. Taking to micro blogging site Twitter, former minister in PDP-BJP coalition Sajjad Gani Lone said “ Congratulations to PC Mayoral Candidate @Junaid_Mattu and the victorious candidates from PC for heralding a new change in Srinagar and thanks to Irfan Ansari and all my senior colleagues for his successful campaign management during the ULB elections. Mr Lone who was minister from BJP quota, further said “PC in the official result sheet does not stand for People’s Conference BUT stands for poll countermanded. We have not fought on a single symbol so officially there is no PC candidate”. He also retweeted a tweet which reads “ Brother no question of fielding proxies they were Peoples Conference candidates supported by Irfan Ansari. Reacting to his nomination as mayoral candidate Junaid tweeted “I am humbled by my nomination by @JKPC_ as the Mayoral Candidate and join @sajadlone in congratulating all the victorious candidates. We have emerged as the single largest group by a convincing margin and will be heading the movement for change in Srinagar in sha Allah”. Junaid, a graduate from an American university, has won from Rawalpora and Solina in the uptown and was elected unopposed from another ward in SMC. He was a member of PC before leaving the party and joining NC only to resign from the party to contest SMC election after the NC announced to boycott the polls alleging state and central government did not clarify their stand on Article 35 A. PDP and CPI(M) also boycott the elections on similar reasons. Political parties reacted very sharply when Governor Satya Pal Malik in an interview to a media house said a foreign graduate will be major of the SMC. They alleged that it was direct indication that Junaid has been tipped as mayor of SMC. SMC has 74 wards and election was held for 66 in four phases from October 8 to 16. Eight candidates from as many wards were declared unopposed. Independents won 53 seats followed by Congress 16, BJP four and PC one. Thirty seven is the magic half way mark to elect mayor of SMC.